My birth name is Elizabeth, but I’m a guy. Gabe. My parents think I’ve gone crazy and the rest of the world is happy to agree with them, but I know I’m right. I’ve been a boy my whole life. When you think about it, I’m like a record. Elizabeth is my A side, the song everybody knows, and Gabe is my B side–not heard as often, but just as good. It’s time to let my B side play. Why did I read this book: Courtney Summers wrote a beautiful rave about the book for her Smugglivus 2012 post. Then the book made the ALA’s 2013 GLBTQ Rainbow List a couple of weeks ago. I felt it was about time to read it. This is going to be a difficult review to write and another one brought to you by my two hands. Gabe Williams has big summer plans. He has his own (quite successful) late-night radio show at an obscure radio station where he geeks out on old songs with the help of his neighbour and mentor John (presumably the first DJ to play Elvis Presley back in the days). He is in love with his best friend Paige and hopes against hope she might feel the same way – although he isn’t exactly averse to hooking up with other equally hot girls should the opportunity arises. Above all though, Gabe is looking forward to the day where he can simply be Gabe. Because you see, Gabe was born Elizabeth and has just recently told his family and close friends that he is a trans guy. The book chronicles Gabe’s summer in a story that depicts both his passion for music and his hopes for his future as well as the process of his FTM (Female To Male) transitioning. SO: on the one hand, at a surface level Beautiful Music for Ugly Children is a really, really cool story. Gabe’s passion for DJing and for old songs is palpable and his relationship with his mentor John is awesome – the latter, a supportive presence, a mentor, a friend, a grandfather figure that admires and helps Gabe. This is all the more important at this particular moment when Gabe’s parents are still shocked at Gabe’s coming out when he is taking the first baby steps at being officially, openly Gabe. And those tremendously important first steps are really well depicted: like the first time Gabe introduces himself as Gabe; the first time he goes to a male restroom; his first attempt to go out on a date with a girl. As well as his ongoing dealings with his family and the bigots at school (who always though Liz was a freak but who know are thoroughly disgusted at Gabe). And I am reading this and I am nodding along and I am thinking: yes, sirs, this appears to be exactly like what a transitioning FTM would face from A to B to C. As such, my other hand will tell you that Beautiful Music for Ugly Childrenis very informative in portraying the Trials and Tribulations of a trans teen. But that first hand will say: yes, this is a really important story. And one that even acknowledges and addresses the many problems that LGBQT teens face including violence, bullying and bigotry without being completely tragic. It is an empowering story and who doesn’t love an empowering story? Especially when the ending is so hopeful? But the other hand says: things seemed to have happened by rote, plot-wise. Almost as if there was a list of THINGS that had to happen in the transitioning process – with the uncomfortable implication that the process is the same for everybody. I never got the impression that Gabe was a real person with a really moving story beyond being a vessel for this tale to be told. I was also quite uncomfortable with the way that Gabe interacted/saw girls (those who were not his love interest Paige), as those came across as merely receptacle/objects of his desire. There was also a weird vibe about gender roles and what “girls do” or how “girls behave” that sneaked its way into the narrative. On the other hand, it makes sense that Gabe would want to be completely dissociated from anything that remotely connects him to what is usually perceived as femininity (and therefore, to Liz). That said, I am not convinced that the narrative challenged this gender-role divide completely. 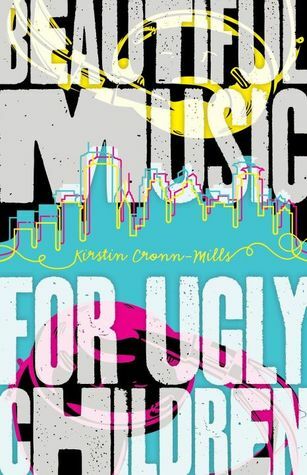 I do not want to undermine the importance of this book or the importance of stories like these simply being out there – especially for teens going through the same process or who are questioning – by saying that I don’t think that Beautiful Music for Ugly Children is a brilliant book. As such, there is definitely a divide between what I know to be an important story and how I wanted/needed/hoped this story to be told. Notable Quotes/ Parts: You can read an excerpt here. Reading Next: To be decided! It’s really a great and useful piece of info. I am satisfied that you simply shared this useful info with us. Please keep us up to date like this. Thanks for sharing. Hi there! I could have sworn I’ve been to this blog before but after going through many of the articles I realized it’s new to me. Speaking as a ftm transgendered person, I think that the author did a wonderful job at portraying the thoughts/struggles of being trans.